How to choose the right speakers, part two: buying | What Hi-Fi? Welcome to part two of our three-part series which guides you through the process of researching, buying and setting up a brand new pair of stereo speakers. In the first part of our guide to buying the right speakers, we looked at doing your research. From figuring out your budget, comparing different types of speaker, and ultimately having a better idea of the best speaker for your needs. When it comes to making your purchase, there's still a little more research to be done before you head to the shop. As you’re reading this feature, dare we suggest you already know the value of the What Hi-Fi? website. Trust us, then, when we urge you to have a read of the relevant product reviews before you enter the dealership. And we don't want you simply to agree with all we’ve said about a certain pair of speakers. But, as well as helping you rule out certain products that don’t match your needs, it might help guide you as to what you should be listening out for. If we make a point of treble being a little coarse, for example, and that it might become wearing on your ears over extended listening, that might not be something immediately noticeable in the shop’s listening room. You also need to confirm that the demonstration speakers you hear are run in. Performance can change with use, with some units taking longer than others to bed in and reach their optimum. It also follows that, if we’ve raved about a pair of speakers that, to you, sound a little disappointing, it might be an indication they’ve not yet been properly run in. We’ll often mention in our reviews if a pair of speakers has changed dramatically in character after a few hours of use, so it’s something worth making a note of. Are you the person who kills the party by seizing control of the speakers and putting on that Animal Collective B-side nobody’s heard of or likes? Well, this is your time to shine: absolutely take your own music with you. It’s simply the best and easiest way for you to judge a speaker’s performance. Great hi-fi is great hi-fi, regardless of the music you play, but the better you know a piece of music, the better you know its arrangement, momentum and dynamics. Effectively, you know how it should sound and if a pair of speakers is rendering it faithfully. In the same vein, you’ll want the dealer to set up a system that’s close to the one you have at home. If you have a really old amplifier, or something particularly obscure, it might be best ringing ahead to make sure the dealer has something similar in the shop. If not, take your own with you; yes, it’s going to be irritating, but anything’s better than one of those “they look nothing like they did in their profile picture” moments when you get your new speakers home. You’re now essentially going to do in the shop what we do when we’re testing speakers in our listening rooms, and you ought to follow the same rules. While each of our reviews is written by a single person, the actual testing is very much a group exercise. It isn’t that we don’t trust our own ears, but anything can alter your perception of a product on any given day; maybe you missed the bus and now you are in a foul mood; or you’re so excited by one aspect of a speaker’s performance you fail properly to evaluate its shortcomings; or the speakers somehow make your jazz-funk band's demo sound better than you've ever heard. What we’d recommend is that you take someone along with you, a friend or spouse, for balance. It’s easy to make a rash decision and regret it later. Don't discount a four-star pair of speakers - the Dali Zensor 1s are versatile enough to suit a wide range of systems. 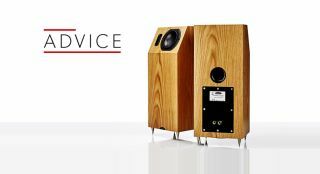 There may be a review you’ve not spotted in our magazine or website, something we’ve not yet tested, or a pair of speakers you’ve disregarded because of its four-star rating – meaning we didn’t think it was outstanding in all areas, certainly not that it isn’t worth buying. Indeed, it's quite possible that a product with four stars may actually suit your specific needs better than a five-star Award-winner. A good dealer will know their products – that’s why they stock them – and they may be able to suggest something you hadn’t considered that will work even better with your electronics. Don’t take their word as gospel, of course - it’s you, not them, who’s going to be listening to these speakers for the next umpteen years - but this is one of the times you needn’t go into a shop assuming its keeper is trying to flog you a dead horse. It’s a two-way relationship, though. If you’re serious about your system, you’re probably going to be a regular customer. That’s why they want to look after you – though of course you’re also a lovely, interesting human being to whom it’s been a pleasure speaking – and you ought to offer them the same courtesy. That means not going into a dealership and picking out the speakers you want, then going home and scouring eBay to see if you can get them cheaper. Don’t think this is us sticking up for our mates - you don’t want to sour a relationship with someone willing to help you as much as you need it, when in all likelihood it isn’t going be meaningfully cheaper online anyway. However, don’t feel pressured into thinking you have to make a decision right away, or that buying online is somehow wrong. But if you don’t have the one-to-one help of a dealer there are a couple more things to be sure of. Shopping predominantly online means you’re less likely to hear as many different options as you would in a shop, so take care to read what reviews says about pairing and don't just jump straight to star ratings. The obvious benefit to shopping online, though sometimes it can be a curse, is that it’s the world’s biggest shop – a wealth more options than you’re going to have on any High Street. To that end, don’t discount last year’s models. There are some great deals available on products manufacturers may have replaced or rejigged, and some are still among the best speakers available. Again, refer to our reviews and you’ll be able to tell if an older product has fallen behind. If they’re still being sold, there’s a decent chance they haven’t. Next is just general housekeeping you’d likely do with any online purchase, such as buying from a trusted source – the retailers featured next to our reviews are a good start – and checking the returns policy, and these rules can’t be stressed enough. As with anything, if you find a deal that seems too good to be true, it almost definitely is and there’s unlikely to be any way of getting your money back. If you don’t have a dealership anywhere near you, make time to visit your nearest hi-fi show, where you can try out a whole range of the latest products. Or, failing that, borrow those speakers you’ve always liked from your mate, to see how they sound on your system.